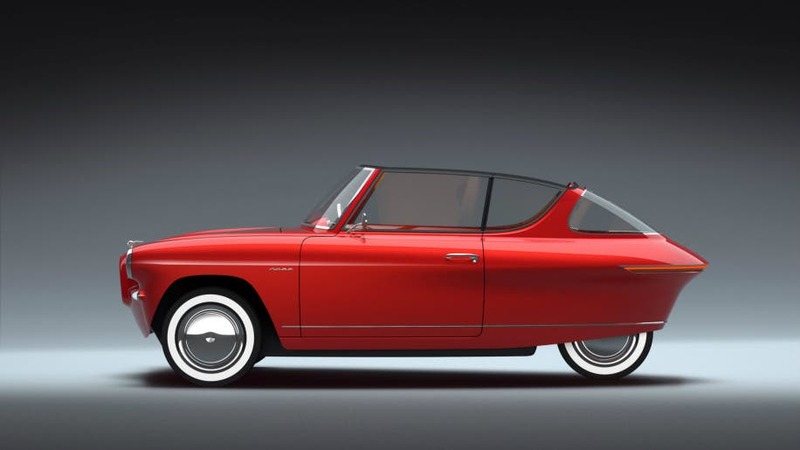 If you were alive in the 1950s, you will recognize the Nobe 100 three-wheeled electric car. 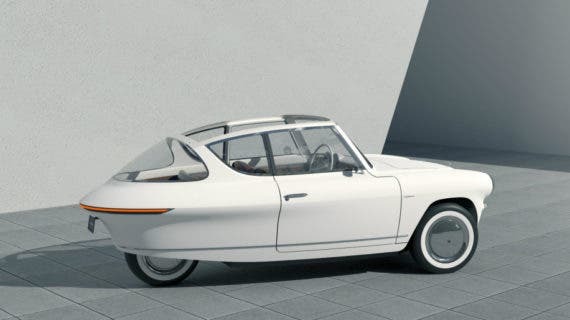 Autoblog says it looks like the original Fiat 500, the Saab 96, or the Messerschmitt KR175 that came with a bubble-top Plexiglas canopy. They’re right — the Nobe 100 does bear a striking resemblance to all three of those cars. But if you squint a little and search your memory banks hard enough, the car it most closely resembles is the Henry J, the none too successful attempt by Kaiser to create a compact car long before America had any interest in such things. So, what is a Nobe 100? It is an electric trike from Estonia with three-wheel drive, a top speed of 68 mph, a range of 136 miles, and a battery that can be recharged in two hours. According to Roman Muljar, founder and CEO of Nobe, one of his primary goals when creating the car was “to create something so effortlessly stylish that you want to lick it.” Perhaps he is a fan of Jerry Lewis and Dean Martin movies. 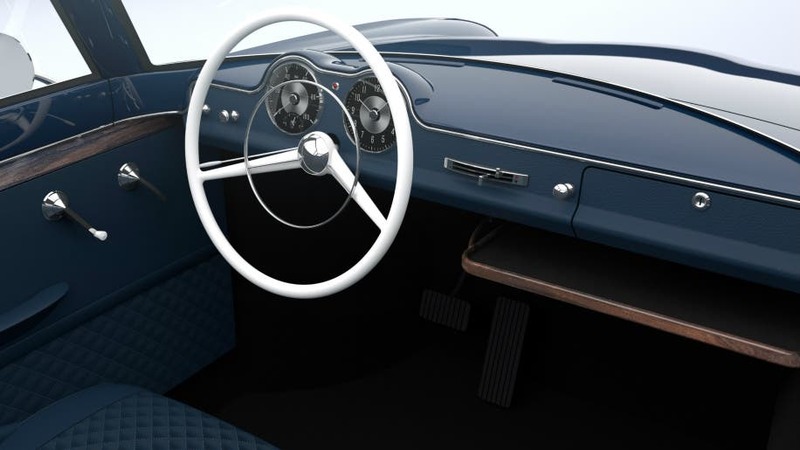 The car is a full retro recreation of a 1950s automobile — white plastic knobs on the ends of the chrome window winders, instruments nestled beneath a double bubble arrangement directly in front of the driver, a dashboard with nothing but a glovebox and two slide controls for air temperature and fan speed. It may not be Model 3 minimalism, but it’s retro-style minimalism. Then there is the throwback large white steering wheel with a big chrome horn ring in the middle. Under the dash is a package shelf and beneath that is the battery, which is contained in what looks like a leather suitcase. The battery can be removed from the car to take it inside for charging. The Nobe 100 may look retro, but it is thoroughly modern in some respects. 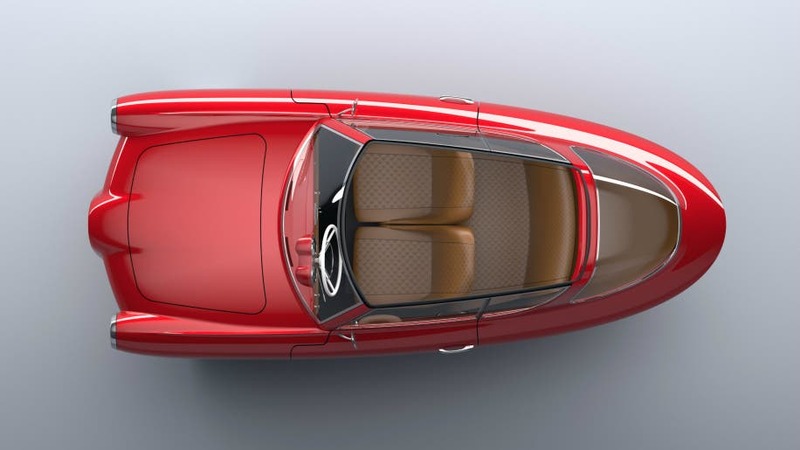 The company says it is “fully connected” and “designed as autonomous ready.” It features a lightweight composite body and can reach 60 mph in 5.9 seconds. Don’t scoff. That is about four times quicker than the cars it resembles were capable of. The company has created a GoFundMe page where people interested in purchasing one of these electro-trikes can sign up. Sales in Europe are contemplated first but US sales are possible at some point in the future. 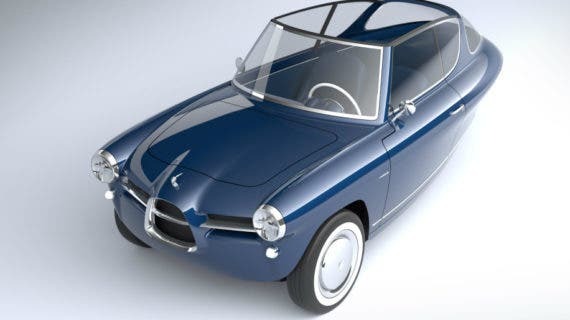 The company says the price of the Nobe 100 will be around $34,000 in the US. How many people will opt for a Nobe 100 over an entry-level Tesla Model 3? The car is certainly endearing to look at and would be a hoot to be seen in. Whether that is enough to create a sufficient flow of sales to justify production remains to be seen.